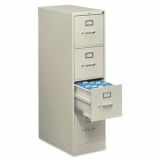 HON 510 Series 4-Drawer Vertical Metal File Cabinet, Letter, 52" Height, Full-Suspension, Light Gray - We make a very strong case for 510 Series vertical files from HON. Our case is built on a solid foundation of manufacturing excellence, using advanced machinery and continuous quality testing. It's clad in solid steel, reinforced inside with vertical struts and a double-walled kickplate. 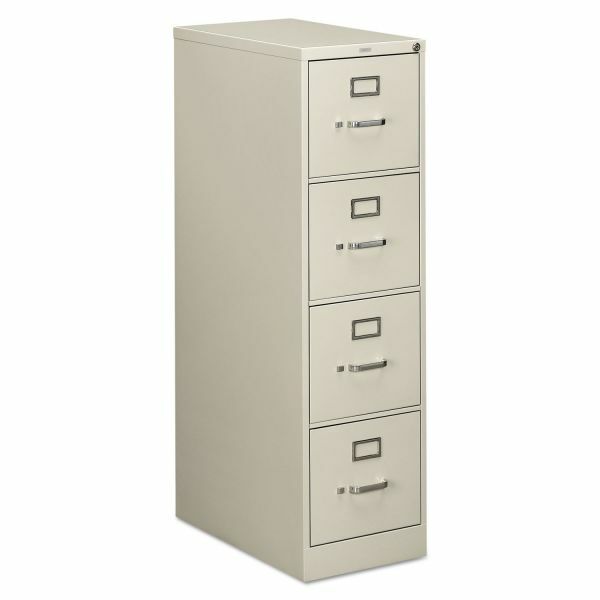 Our case includes proven cradle drawer suspension and high drawer sides for hanging folders. 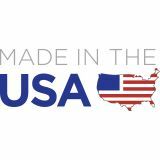 510 Series files meet or exceed ANSI/BIFMA performance standards for Business and Institutional Furniture, and BIFMA level standards for environmental quality. Trust 510 Series files with any caseload.